The Concluding Ceremony for the 2017 Academic Training Programme at Al-Maktoum College took place on Friday, February 24, 2017. A total of 47 female students from the United Arab Emirates, Egypt and Malaysia participated in this the 23rd programme of its kind since the first Summer School was held at the College in 2003. 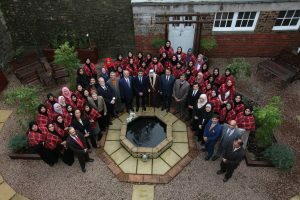 Dignitaries attending the ceremony included HE Mr Mirza Al-Sayegh, Chairman of the College Board, HE Dr Thani Ahmed Al-Zeyoudi, UAE Minister of Climate Change and Environment and Dundee’s Deputy Lord Provost Christina Roberts.  Principal and Vice Chancellor of Al-Maktoum College, Dr Hossein Godazgar, said: “The Academic Training Programme is aimed at advancing the students’ overall learning and understanding of Scotland, its history, culture and traditions. “They wholeheartedly took part in study and debate on topics such as the challenges of global dialogue and exchange in the contemporary world. “I’m pleased to say that the feedback has been positive with students saying they found the programme interesting, stimulating and demanding in educational and cultural terms. Students from eleven universities and colleges visited Dundee for the programme that offers Scottish Qualifications’ Authority (SQA) accredited certificates, introduced for the first time in 2015. Study and debate on topics including Multiculturalism, Globalisation, Leadership and Management played a prominent part in the students’ time here. Students came to Scotland from Abu Dhabi University, American University in Dubai, American University of Sharjah, British University in Dubai, Cairo University, College of Islamic and Arabic Studies, Qatar University, United Arab Emirates University, University of Malaya, University of Sharjah and Zayed University.